Women always ask me what the deal is with men and commitment. In this article, I want to enlighten you on a bit of male psychology. When you understand where a man is coming from, it’s much easier to avoid the traps so many women fall into when getting a guy to commit to a relationship. So let’s get to the burning issue: Why are so many men afraid of commitment? The decision to commit to a relationship with anyone involves a large investment of time. When men size up potential relationships, they size up in their own mind how much big this commitment is going to be. This isn’t because they don’t want to spend time with you, it’s an instinctive male reaction when the idea of commitment is brought up in his mind. Always remember this isn’t a logical thought-process, it’s an emotional one. The good news is that you can directly control how a man feels when you understand that. If you’re relaxed and seem like you’re just having fun and enjoying his company, he’ll see it that way as well. If on the other hand, you make commitment into a big deal and make it sound dramatic and life-changing, he’ll build it up in his own mind and turn it into a huge decision. Many men have this ingrained psychology that relationships = the end of their current lifestyle. In modern society we often have this golden image of being “young, free and single”. It’s this kind of thing that gives men the idea that they only commit to a relationship after they’ve had their wild and crazy adventures. You’re job is to show him that a relationship is only the beginning of his amazing lifestyle. This is done by doing things together you’ve never done before; trying new things together or planning exciting dates is what makes him associate you with excitement and spontaneity. If you do this right, he’ll actually start to realise that he could never have as much fun single as he could in a relationship. Again, this is about the emotional connection guys have to ‘settling down’, which to them immediately translates as “become boring”. When they think of settling down they imagine their partner in hair curlers watching Coronation Street while they both having nothing better to do on a Saturday night. Is it any wonder he’s a little terrified with a vision like this? One simple tactic to reduce his commitment phobia is to simply avoid language like “settling down” altogether! If a man associates that vision with marriage, he’s always going to see it as compromising on all the fun he would have had being single. Language is so important when we decide how we feel about commitment, so use it wisely! 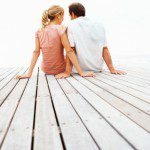 How Would You Like To Discover The Exact Steps To Finding, Attracting and Keeping Your Ideal Guy?